My passion for movement began at a young age; some of my earliest memories are of frolicking down the halls of my childhood home as a prima ballerina or swimming for hours at our community swimming pool as a mermaid in the sea. My passion for dancing carried me through many years of dance lessons and summer dance intensives. 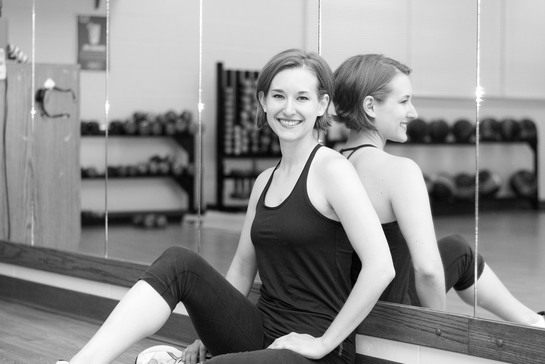 However, it wasn't until after college, when a fellow dance company member suggested I come to her Zumba Fitness® class, that I realized that I had found my niche - marrying my passion for the human body and movement with my desire to help people and share what could be learned about health and wholeness. In addition, I have taken continuing education courses in Prenatal/Postpartum Exercise Design, Deep Water and Shallow Water Fitness, and Group Strength Training, among many others. It is my lifelong goal to continue to learn - to learn about the miracle of the human body, to learn about health and wellness, and learn how we can grow and journey into our most whole selves. A special "thank you" to Jessica Snyder Photography for the beautiful photos used for this website!